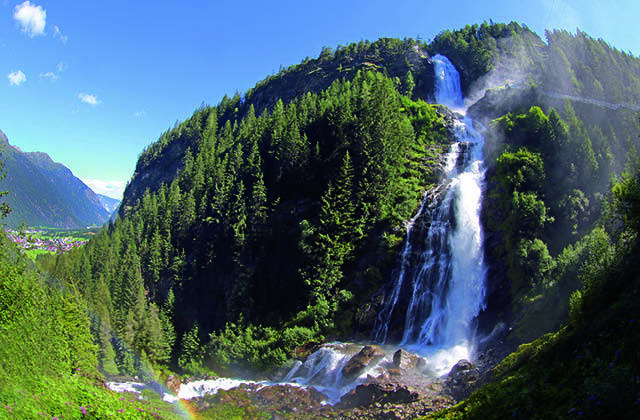 With a drop of 159 m, the Stuibenfall is the largest waterfall in Tyrol. A new path and step construction gives you the chance to get close up and ensures simple access. 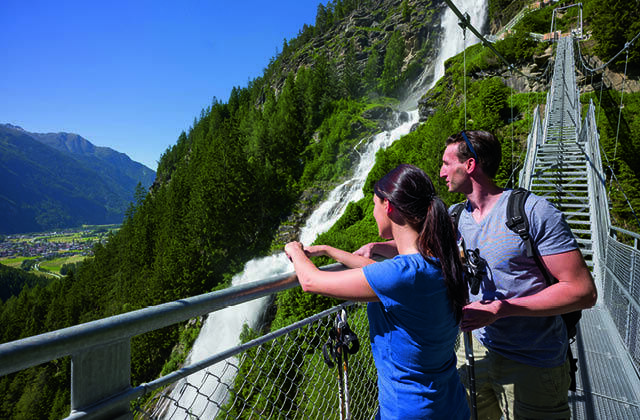 More than 700 steps and an 80 meter long suspension bridge make a hike along the roaring waterfall an unforgettable experience. An approximately 450-meter-long via ferrata with moderate difficulty leads left along the Stuibenfall. For those daring enough, crossing the waterfall on almost invisible wire cables directly in front of the natural stone bridge is an amazing experiance. The equipment can be rented in Umhausen and Niederthai. An oasis filled with wonderful fresh water. Water with drinking water quality grade 0. Spacious lawns, children’s pool and playground, beach volleyball court and adjacent tennis court. Open from May to early September. 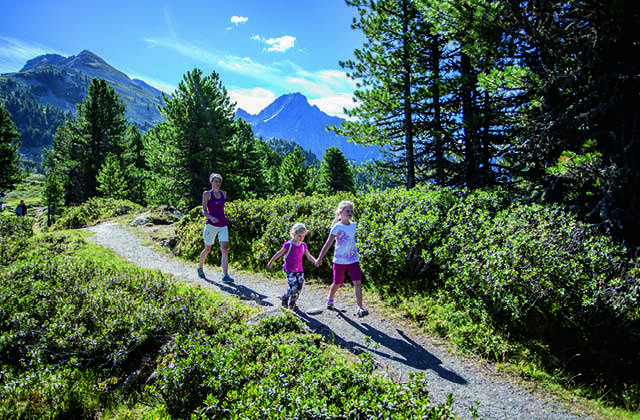 Easy walks and hiking trails, loop tracks in of all levels of difficulty, beautiful resting places and viewpoints, chapels, and much more. A perfectly designed track starts right above the “Kneipp” facility at the parking lot Bischoffsplatz and leads directly to the path that leads to the Stuibenfall. 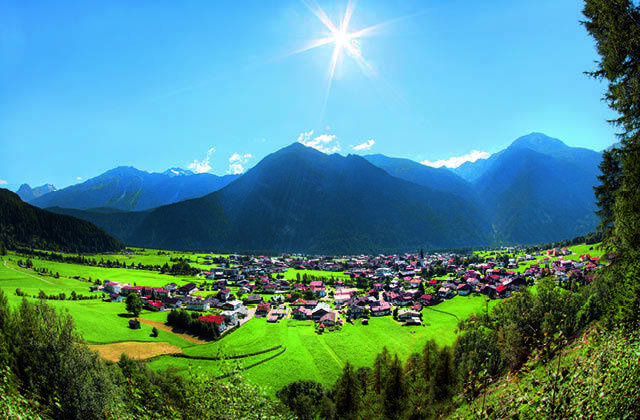 Further information about hiking around Umhausen can be found here. 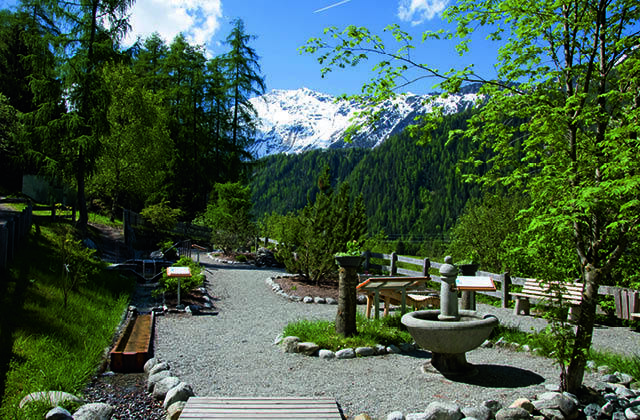 Designed according to the principle of the five pillars of the “Kneipp apprenticeship”, the “Kneipp” facility has foot and arm basins, you can drink crystal clear water from the Kneipp fountain and can admire the herb garden. 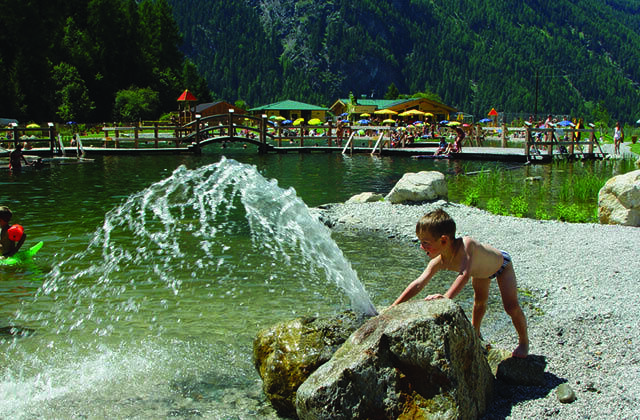 Information boards explain interesting facts about “Kneipp and health”. 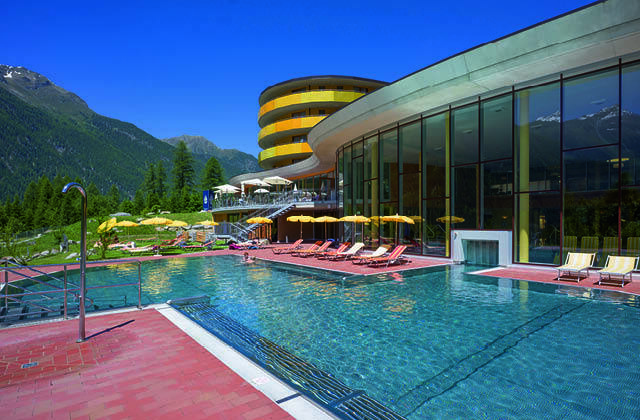 The spa was opened in 2011. A special feature here is the radioactive noble gas, carried via the water and then used therapeutically. Radon healing water stimulates the metabolism, relieves pain and helps with the healing process. By bathing in Radon healing water or by inhaling air containing Radon, the noble gas enters the human organism. Such Radon therapies are recommended for circulatory and functional disorders of the nervous system, they also reduce complaints in rheumatic and respiratory diseases and improve the appearance of the skin. In addition, radon treatments increase physical performance and strengthen the immune system. From the raw material to the finished product – carpets, felt products, impact sound insulation, wool blankets and much more. Guided tour through the wool washer on request! 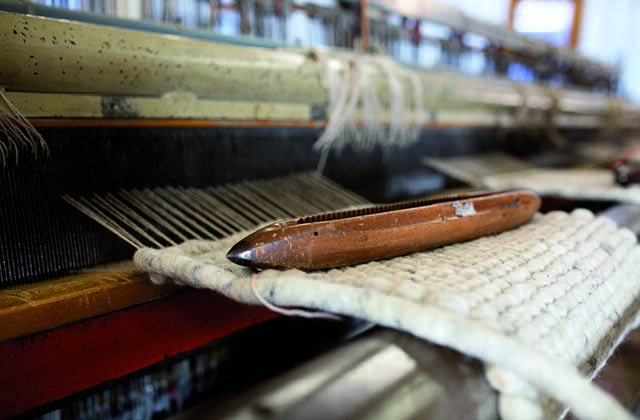 Hand weaving Doblander – oldest hand weaving in Ötztal: old looms, home linens, carpet and more. More information about the sheep wool centre can be found here.